If you're looking for an effective way to raise money for your group or organization that doesn't involve selling people items they don't really want or need, consider holding a coupon book fundraising event instead of taking orders for a consumer product the next time you need to raise money. What Is Coupon Book Fundraising? Selling coupon books can be a terrific way for all types of nonprofit organizations to raise money. This type of fundraiser simply involves selling booklets that contain certificates for discounts on various types of products and services. Most organizations enter into an agreement to sell booklets that have been created by a professional fundraising company. Several companies specialize in working with nonprofit organizations who wish to make money through this type of fundraising sale. If you find this approach to fundraising to be appealing, shop around to find the best deal for your organization before selecting a coupon book vendor. 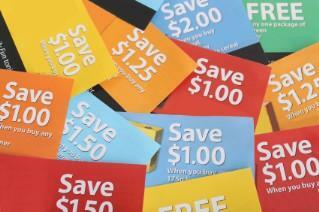 When evaluating coupon book vendor options, several factors need to be considered. It's certainly important to select a fundraising program that allows your group to keep a nice percentage of total sales to maximize your earnings. However, that is not the only important factor to evaluate when making your decision. You'll want to review the contents of the books themselves, so you can be certain that they contain offers that your supporters are likely to be interested in and that can be used in your local area. You'll also want to verify whether or not you will be required to commit to a minimum purchase or if you'll be responsible for submitting payment only for the number of books sold by the hard-working volunteers working on your campaign. In some cases, rather than reselling existing booklets, nonprofit organizations choose to solicit advertisers for the purpose of creating their own coupon books. While this type of coupon book fundraising project is more time consuming than one that involves reselling books that have been organized by another company, there are several benefits associated with doing everything yourself. First, if your group recruits advertisers to include coupons in its books, you can earn advertising sales revenue in addition to the fee you'll make for selling the finished product to your organization's supporters. Before that can happen, though, you'll have to convince local business owners and managers that they can benefit from including coupons for their products and services in your booklet. Once you sell ads, you'll have to create the layout and design for the finished product and have it printed. Another benefit of making your own books filled with discount offers to sell is that you won't have to worry about a competitor marketing a product that is identical to yours. If your organization tackles the project of creating its own books to sell, the finished product will be truly unique since the advertisers will be companies that your volunteers recruited. You won't run across potential customers who may already have the same booklet you are selling, as no other group will have a finished product that is exactly the same as yours. Whether you decide to sell an existing coupon book or to accept the challenge of creating and marketing your own collection of discount offers, this type of fundraiser can be very successful. As with any campaign intended to raise money, the results you enjoy will be directly responsible to the skills, commitment, and efforts of your committee members and volunteers.